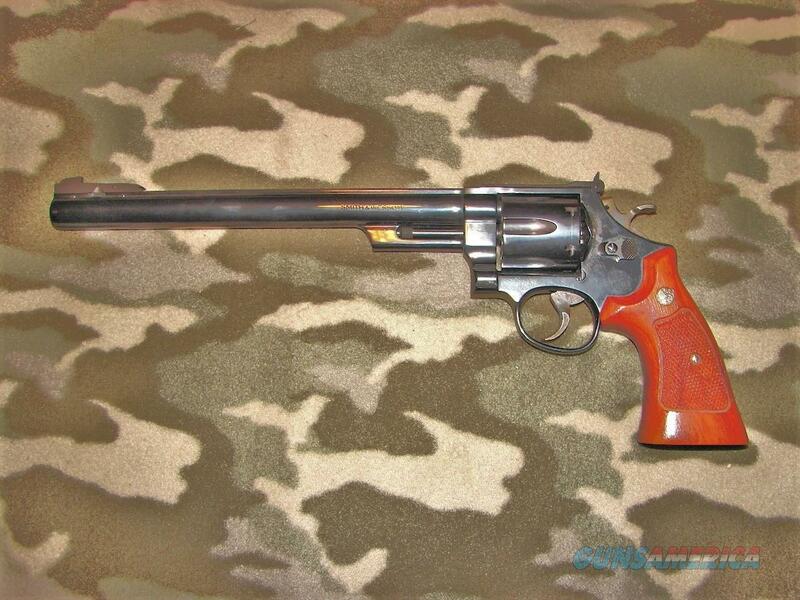 Description: Smith & Wesson Model 29-3 Silhouette Revolver .44 Mag 10 5/8” bbl. with an excellent bore. This “hand cannon” is in excellent condition showing only a faint drag line around the cylinder. Sights are comprised of a tall adjustable black rear and a 4 position adjustable front. Features include a target hammer and target trigger. The Goncalo Alves grips with speed loader cutout are also in excellent condition. This firearm was designed for metallic target shoot and appears to seen little or possibly no use. Also included is the original box and packaging. A really cool set up which gives new meaning to the phrase “reach and touch someone”.